Toxic Gas Reconciliation (aka CO2 Remediation) is available to you and yours for less than $1. Heal now. What are you waiting for? Get the BOOK! A month or so passed. I returned on my doctor visit and the doctor advised my cortisol level was very high and that I had a wheat/gluten reaction or allergy. At the time I was told I had a gluten reaction/allergy I was 48 or 49 years old, and I wondered how in the world does a guy wake up one day at that age and discover they are allergic to gluten/wheat? It seemed like hogwash, but research will show it happens everyday. Again, it looks like hogwash. Read on and I will tell you why. Research on gluten reactions/allergies indicates that on occasion (often?) they come and go out of the blue without any known cause or reason……………….AH HA! Then we need to figure out how to make this “passing” occur sooner, don’t you think? Okay, okay, there is a HUGE industry and almost a religion being built in regards to this gluten epidemic, but understand the products are expensive and the food people appear (in my opinion) to be pursuing the pharmaceutical company marketing system. They are creating fear and dependence on their expensive products. Do not be afraid, and do not believe everything you read on Gluten and its bad attributes. It is a marketing ploy it appears to me. Zealots drive a mechanism of fear, thus keeping mankind in the dark.That is often how any/all religions polarize and create fear in communities and “Gluten” interests are no different. If this gluten issue comes on late in life and goes away on its own, then let’s look at what makes it come and what makes it go? All you need to do is make an adjustment so it does no come and if it does then it goes sooner, and you should not have a terrible problem. Okay, a bunch of wackos will get excited because they intend to make money off their expensive products, but simply apply a little common sense. What is gluten? Gluten is a wheat protein that makes bread nice and soft. It makes bread dough gooey. When the body has a reaction to gluten the gooey (physical) part of the gluten begins to coat the inside wall of the digestive tract. When the digestive tract is “plastic coated” with this gooey stuff the problems begin. For one the types of food to be digested do not get digested because the lining of the digestive tract is coated, inflamed, or otherwise disturbed. The food that was supposed to be handled in that section of intestine ends up in the next area of the intestine, and that as well as all food at that stage are not “prepared” for each successive stage. The next stage of intestinal digestion is affected, as is the next, the next, etc. Left unchecked it will affect the entire digestive process downstream of the problem and mal-absorption takes place. The symptoms run the gammut of possibilities, because you are malnourished. Eventually certain types of minerals and vitamins are missed because of mal-absorption (bad digestion). Meanwhile, the coating of the soft inner lining of the intestines makes the aveoli lay down and it causes in essence blisters, ulcers, or “cuts” in the inner liner. The intestines become inflamed, and this condition will likely take up to a month to heal itself each time it happens.In essence the person with a gluten reaction is doomed to a potentially never ending cycle. Correcting the diet may help, but avoiding gluten is very hard. Moving along as the story goes I found that many (most?) doctors would agree generally with what has been written above. What comes next may be news to them, because they simply do not get that involved in these things. The intestinal wall once inflamed in essence has cuts in it. (Doctors will agree with the cuts.) Meanwhile you have to take your doctor’s imagination a step further. If there are cuts in the intestinal wall then it is possible the patient has “leaky gut” syndrome. Most doctors will not acknowledge leaky gut, but it is easy to see. The blood in your feces and the change is only one problem of leaky gut, and because it is such a terrible situation no one wants to write about it, and let you know the truth. It is easy to see how the blood protein in the intestine morphs/changes cells from good to bad (Like Gremlins eating after midnight), but some of your intestinal juices CLEARLY enter the blood stream! THINK PEOPLE!! What I found is this condition was allowed to develop and exist in my system as a result of my accident and STRESS from that chain of events(CLICK). Doctors were not effective in the least at diagnosing this. I was able to self diagnose it, and then convince the doctors I was correct. Gluten (and dairy for that matter) is generally digested in the same section of the digestive tract as produces serotonin. Serotonin is the hormone that counteracts CORTISOL. Cortisol is the “stress” hormone. If your condition continues (and it will if you do nothing) then your stress will be abnormally high in many cases because your hormones will operate out of balance…………It actually becomes a chicken and egg situation. The dysfunction in your digestive tract could be the result of stress, or stress can be caused by the hormone imbalance. It is a bit of a “chicken and egg” situation. Irregardless you can counter the digestive imbalance. 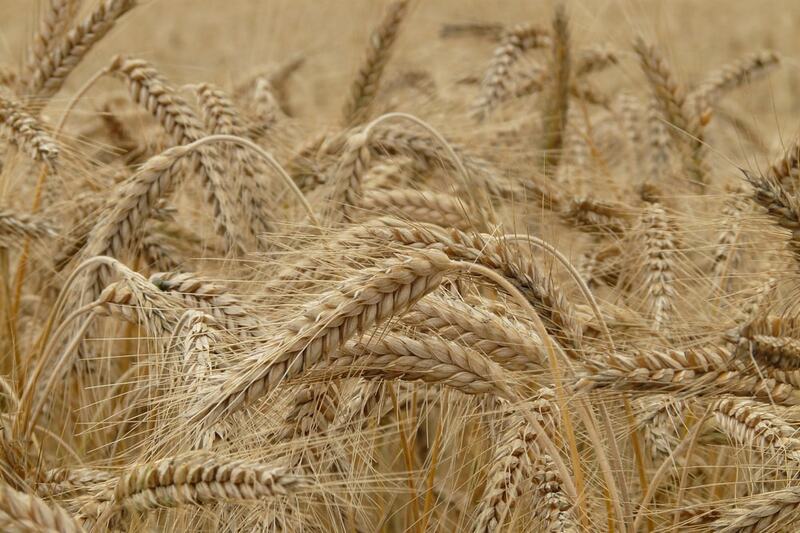 Until you do your problems will likely continue to grow……..Avoiding GLUTEN is NOT the answer. Gluten (gooey stuff) merely reveals the bacterial issue. BACTERIA and FUNGUS gone rogue is the real problem. Meanwhile it is cheaper, FAR CHEAPER, to take a herbal remedy (bitter herbs and unleaven bread as recommended in Exodus of the Bible) than to test for what you need to. Do yourself a favor. Go around your doctor’s orders and get a bacteria/yeast cleanse for your digestive system. Hyperbaric played a key role in attempting to kill off anaerobic bacteria/fungus (hence the 2.8HBOT in my story). HBOT1.5 served likely to assist in healing the gut so the “holes” in my intestines could be closed up. Once the holes were believed to be closed we began taking anti-fungal medications along with the hyperbaric……….. Note: Taking antifungals prior to closing the wounds in the intestines would be like trying to treat the sickness (symptom) before treating the cause (hole in intestines). That manner of treatment (fungicide prior to healing the gut) where often employed will allow fungus to build a resistance to the fungicide. By beginning HBOT first we began treating the problem before the symptoms. There is more to the story. (COME TO THE FARM). Here is where I think we can be afraid or we can become educated. Your doctor likely NEVER told you any of the above (Leaky gut, systemic candida, etc) (it is not commonly taught to them), so why would you anticipate they know as much as they need to help you? Here comes the punch line to what may cause the whole “gluten free” craze to be a well-orchestrated hoax. Examine the PARTNER of the gluten! The partner of gluten being YEAST may be the real “cause” of the problem!! In virtually any/all environments where gluten exists there is this other little “bug” called yeast. In bread for instance the gooey part of the gluten is worthless without that bacteria-like culprit that we call “yeast”. The little critters that make up the yeast fart in the gooey stuff making your bread nice and fluffy. Meanwhile, in the same section of the intestine where the gluten problem arises is often a problem with YEAST or bacteria!! I submit to you that the “cause” of some “gluten reactions” is really not gluten at all, but a malfunction in the way our body deals with the bacteria/yeast. The resultant is the gluten (gooey stuff) is not properly handled and creates a problem in the intestine, and testing/results show the gluten problem, but in reality it may have all started with the bacteria/yeast. People often try to remove the gluten, but do not address the yeast/bacteria………….The problem you really need to address is most likely the yeast/bacteria. If you remove gluten/wheat from your diet without removing or controlling the yeast/bacteria then the bacterial imbalance will move to whatever dominates your new diet. If you eat peanuts, whey or whatever to replace the wheat protein, then you will soon have a reaction to the new food. It is simply a survival attempt of the bacteria. They will keep moving and growing until you do something about it………….Can you see how those who claim “gluten free” is the way to go are potentially very misguided and foolish? They won’t like it, but they are. Gluten is not the problem. The physical (gooey) nature of the gluten only helps reveal the real problem (bacteria/yeast/fungus). Problems can arise because your doctor will often recommend digestive aids and pro-biotics before addressing the bacteria. The probiotics are then caught moving thru the intestinal wall in to the blood stream and cause problems. Here is how my situation went. From what I understand this is rather common………….My “gluten reaction” changed when I stopped eating wheat/gluten. I then began reacting to whey, peanuts, soy, etc. I realized quickly that whatever my diet consisted of the doctor would tell me I needed to stop it. I then asked the doctor how can this be? I asked the doctor to check for a wide range of foods to see my allergies, and lo and behold I was not allergic to wheat/gluten in that final testing. The doctor claimed it was because my diet was so pure. This was a lie………….It was clear to me the “allergy” was moving. It was moving to whatever food source I supplied it. I had a roving bandit and that bandit was a type/style of digestive bacteria gone rogue. I proved to the doctors we had to address the bacteria, heal the gut, and clean up the blood/system. I chose to use a simple herbal product (CLICK) and got started on it right way. By the time the doctor’s test results were obtained they confirmed what I already knew, I was already on my way to being set free. The herbal product is available to anyone who wishes to give it a try. (CLICK HERE). The roving bacteria in my opinion is why the gluten issues miraculously “shows up” at some time late in life, and then miraculously “disappears” possibly some time thereafter……..Try what I recommend, and see. It is a darn sight cheaper than buying “gluten free” products and it works much faster than the traditional wait and see method. Further on this subject many will find the section of the intestinal tract that is often affected by gluten is also the section that produces serotonin. If/when that section of the digestive tract is affected your serotonin will become low. Serotonin helps “balance”, or control, your cortisol. If you haven’t enough serotonin, then your cortisol will go high and once it gets high enough, long enough it starts re-arranging things in your body. As a consequence your serotonin may have great difficulty catching up and the disruption in your system will keep your life stress, diet and digestion fouled up. To get this in control you need to address all of these things. Not impossible, but if your doctor is only telling you to avoid gluten/wheat, then look at what all they have missed!! Here is some “food for thought”….. The “gluten” and wheat was never my problem. The gluten “reaction” was a symptom of a bacteria/yeast irregularity, it was manifested by the gluten because the physical qualities of the gluten. Removal of the gluten from the diet is not the key. The key is to address the bacteria/fungus causing the problem. The bacteria/yeast will often attack the area of the intestine where gluten is handled because both gluten (gooey stuff) and an abundance of yeast/bacteria (carried in the gooey stuff) exist there. Address the cause which is bacteria and you could save a mountain of time, money, doctor costs, medicines, etc. At least it worked for me. Come to the farm and we’ll show you simply how to address this. Unfortunately the “anti-gluten” people are trying to make a hate religion out of gluten. Meanwhile, I found my answer in the Bible. The diet of the Hebrew people (bitter herbs and such) for the people of Israel during the Exodus, when they were told to avoid LEAVEN which is yeast. Simply seek ye first the Kingdom!! We have a recommended herb group/set that should help substantially, just as the Bible stated thousands of years ago……….Contact us for the yeast cleanse. Isn’t it odd that doctors don’t know today what folks did 3000 years ago in theBible times? We are fixing a lot of problems that modern science and the business mechanism that drives corrupt science, pharmaceuticals and sales has destroyed. We’re seeing amazing results. Email is usually the best method to contact.